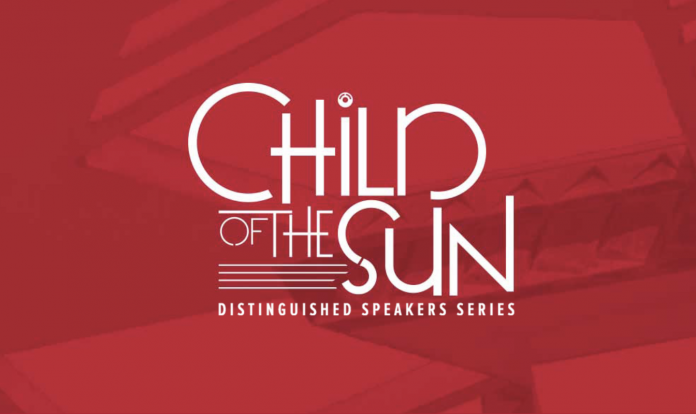 Over winter break, the Child of the Sun Distinguished Speaker Series (CotS) website was updated to reflect the lineup for spring 2019. The theme of this year’s series is “Technology and Innovation: Redefining the Possible,” and it consists of three speakers: Adam Steltzner, a member of the team that landed the Curiosity Rover on the surface of Mars; Nicholas Carr, the researcher and writer of three books about how the internet affects the human mind; and Nina Tandon, a biotechnologist developing technology to grow replacement hearts and bones. Dr. Eric Kjellmark, Dr. Ronald Pepino and Dr. Lisa Carter are also members of the committee that selects speakers for the CotS series. They are professors in the biology, physics, and criminology departments respectively. The speaker selection process varies case-to-case. The distinguished speakers, Carr, Steltzner and Tandon, have been selected to answer questions about the ways that groundbreaking technology can or already has affected human development and existence. Adam Steltzner, who is speaking Feb. 12, was one of 7,000 people working on the Curiosity Rover. Steltzner led the entry, descent and landing team, which developed the Sky Crane method of landing the rover. Steltzner was interviewed in for an article in The New Yorker in 2013. When the article was released, the rover had already landed in Gale Crater and spent almost two-thirds of a year exploring. Since then, he has spoken at Smithsonian events and published a book, The Right Kind of Crazy. Nicholas Carr’s work about internet usage has appeared in The Atlantic, five books (one of which was a Pulitzer Prize finalist) and WIRED magazine. He will speak on March 19 on his experiences with the internet’s impact on human life. Beyond writing, Carr has appeared on NPR to discuss his work and written for Politico regarding the internet and the United States presidential election in 2016. His work remains relevant as it surveys and connects decades of internet research. Nina Tandon will close the semester on April 9 with a discussion titled Body 3.0. The compay she co-founded, EpiBone, is a tissue engineering start-up researching the use of electricity in growing human bone and heart tissue. Tandon’s work is long-term: patients may have to wait more than a decade before full hearts and bones can be quickly grown for transplant. In the meantime, she has spoken at WIRED events, been interviewed for WIRED magazine, and given TED and TEDGlobal talks in 2011 and 2012, respectively. Hollingshead stressed the uniqueness of the distinguished speaker series as it compares to individual departmental lecture series on campus. 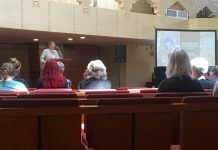 “While speakers often give lectures, we nevertheless use a variety of formats to engage our audiences,” he said in an interview. Part of the individuality of the CotS series comes by its interdisciplinary approach. Hollingshead set it as a complement to the Warren W. Willis Lecture in Religion, which happens in the fall, alongside the Lawton M. Chiles Center for Florida History’s yearlong Florida Lecture series. In the past, the CotS series has featured speakers in the fields of science, the arts, and communications. The first series, held in the 2015-2016 school year, featured a co-recipient of the Nobel Prize in Physics, the first woman of color to go to space, and a cognitive psychologist. Hollingshead’s discussions surrounding the CotS series indicate that it is intended as a truly interdisciplinary event: something that, this year specifically, will be attended by students and professionals from all disciplines. Hollingshead doesn’t think that the committee sees the subject matter as a full-circle return to the scientific fields. Circular, rotational thinking would indicate that the series is interested in revisiting the same topics every few years, a reductive notion. 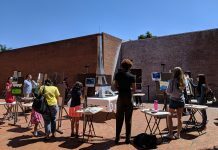 “Sometimes a particular year’s theme will intersect with those from previous years—sometimes not—but in all instances, we are looking to move conversations about important topics forward in intellectually honest and challenging ways,” Hollingshead said. Florida Southern College partners with WUSF, a local National Public Radio station, for special promotion of the CotS series. Hollingshead described the partnership as mutually beneficial in its pursuit of public good through communication. The CotS series is free to attend for students Lakelanders.